Discussion What else are you doing in Seattle during the home shows? What else are you doing in Seattle during the home shows? My wife and I are traveling from Detroit and are attending Night 1, and have booked some tours in the city for the other nights we are there. What is everybody else doing? So far, we have booked Bill Speidel’s Underworld Tour that Tuesday 8pm; the show at the Can Can Thursday at 7pm; MoPop Pearl Jam exhibit Friday 5pm, and Nightly Spirits Haunted Pub Crawl 8:30 pm on Friday (no night 2 tickets.) of course we will be heading to Easy Street Records, Pike Place Market, the Troll and Heritage Distillery to pick in our preordered bourbon. I hope there we meet a lot of fellow 10 Club members throughout the trip. Other than going to both Home shows, also doing Space Needle tour, and taking a boat cruise on Lake Union. The rest of the week will be spent with PJ buddies I met on this board many years ago, have experienced many PJ experiences with since and can't wait to be with them again. For us, it's become way more than PJ, it's life long friendships. The PJ Exhibit at the MoPop after the Friday Night Show, The free SPF 30 concert at Alki Beach on Saturday, The Underworld Tour on Sunday and, of course, riding the S.L.U.T.! This is a super quick trip for us and I'm really ambitious, hoping to squeeze it all in! When you ordered your bourbon, did you message them to tell them when you were picking it up? I wanted to order a bottle as well but wasn't sure they'd hold it for me til the 9th. Have a great time!!! If you are here for the Pearl Jam shows and are on the fence about going to the SubPop SPF30 , definitely go to this. Watch SPF20 on YouTube for and idea of who the headliner will be. For those wondering about picking up the bourbon, when you order and put in your info, there is an option to pick up at the distillery rather than ship. They say it will be available for pickup after the 7th. They never asked when I was picking it up, so I assume they will just have them available. I was going to call them closer to the trip to confirm the pickup. You guys have some great plans so far. I would love to see the Afghan Whigs at the Subpop SPF30 show but I’m not sure I will have time. I hope to add a few things to my itinerary. ^^^Wow Dave, that is some impressive planning and an exceptional culinary experience! 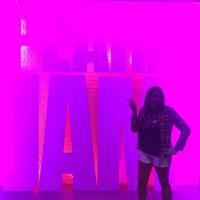 Hitting up the Pearl Jam Exhibit at MoPOP and Pike market before the show on Friday. Doing a day trip out to Mount Rainier Park on Saturday; and then going to the Sounders game on Sunday- can't wait- only a few weeks away! Hear My Name, take a good look, this could be the day! I lived out in Seattle from '94 to 2000.
and then worked part time on the kitchen staff at The Herbfarm on the weekends. Poppy and Sitka & Spruce are owned by the chefs I worked under when I worked there!! It's like a homecoming week for me!! We have been to Seattle lots and lots of times when we used to live in LA. I sold for a company that had offices there and covered that territory for a while and did lots of sight seeing. This means we are going to relax and I am looking forward to seeing some board friends. Thursday - I opted to work - going to visit with a few clients and run some calls. My wife is going to wander around, not sure yet where. For dinner we will either hook up with board friends somewhere and go out and party....or we will wander off on our own and go out and party. Friday - considering merch but that is depending on how Wednesday went. If reports are ugly I will just say 'ebay it' and will find something fun to do in/around Pike Place and pre-game throughout the day. Meet up with board friends for pre-post show hang. Saturday - get out early, drive to MT where we have a cabin on a river @ a hot springs place. Sunday - travel to Missoula, meet up with some friends, do some hiking or something cool with some local flavor and then party it up. Monday - day of show, meet up with same friends and pre/post party. Tuesday - day of reckoning, fly back to Philly. We're taking the ferry over from Victoria to Port Angeles on the 7th. Spend the afternoon checking out Port Angeles (maybe drive up to hurricane ridge). Staying in Sequim. Then we'll take the bainbridge island ferry over late morning/early afternoon on the 8th. Try to check in the hotel early then get over to the GA line. I arrive from the Uk on 7th, after checking into airbnb, I'm gonna get a tattoo, if I haven't left it too late, then GA line in the eve... 8th I'll be in line. The 9th I'll take in as many sights as possible including, before mopop screening event that eve. The 10th I hope to get on the water in the day, maybe ferry or some paddleboarding or we might do a short hike. Show that eve, Subpop festival on the Sat, home on the Sunday. There is alot to fit in!!! Might leave Easy Street until the Saturday morning. I'm gonna be broken but happy by the end of this. Will you be hiking at Glacier? If so, which hike? I want to do the Grinnell Glacier Trail but my two concert buddies are not interested in such a long hard hike. It takes about 2 hours to get to the National Park from Seattle. and then head back to Seattle for dinner!! Impressive list of restaurants. You will be eating good! Poppy is ridiculous. All this time I thought I was seeing Shinyribs at Tractor Tavern on the 9th. Turns out I can't read and the show is on the 5th. I recommend them if anyone's looking for something to do on that night. I won't be in town yet, so I won't be there. He was the executive chef at The Herbfarm when I worked there!! Matt Marshall-Dillon from Sitka & Spruce was our sous chef. They've both won James Beard Awards for Best Chef Northwest. Hoping I can find someone that can help me get a poster for the Safeco shows. I’ll be at the 10am Stalking Seattle Tour Wednesday 8/8, and my buddy can’t make it so I have one extra ticket. Face $55. PM me. Sounds like a pretty awesome tour. My wife and I are heading to Glacier after the seattle shows, before the Missoula show. We plan on doing the Grinnell Lake hike! Stereo Embers is a story about 4 guys experiencing a twenty five year overnight success story. Ten thousand hours of rock and roll applied. Look out, they may surprise you. These veterans are bringing it. Focused on well crafted songs and delivering them with big energy. Weaving guitars and a back line that locks in and hits hard. New classic rock and indie energy. 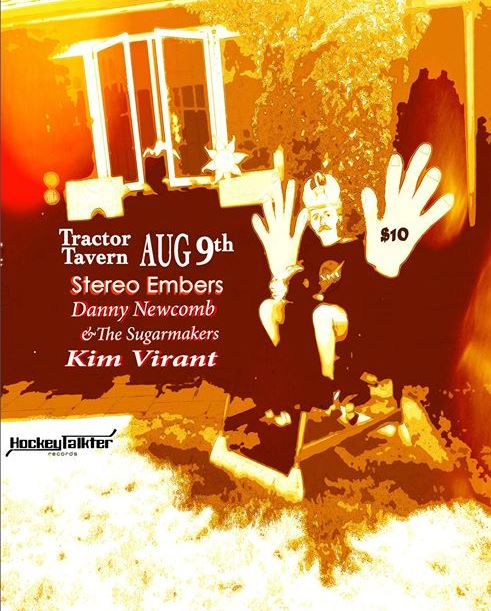 Don’t miss openers Danny Newcomb & the Sugarmakers and Kim Virant. ee you in Ballard! ^^That's pretty cool. But I already have a ticket for the screening at MoPOP. But like, do I really need to watch the show from the night before?!? Flying in from Tucson on Tuesday, land around 11:30am. Will probably stop at the stadium on our way into town via the light rail if they have merch tents set up so we can avoid the hassle of buying stuff on Wednesday. Then to check in to our hotel and maybe hit up the Space Needle or Pike Place before we head to dinner with some friends who just moved to Seattle in May. On Wednesday we have tix for the 9:00am tour of London Bridge Studio, then 10C MoPop passes at 11:15am. After that we might hit up Pike to check it out some more and grab some grub/water/snacks to hold us over when we get into the GA line. Then it's time to get our faces melted! Planning on hitting Ranier on the off day. Thinking about hiking to Camp Muir, but not sure if that is doable in one day, including at least four hours of drive time. There's a trapdoor in the sun. Nice thread. I'm coming from Philly for night 2 and the weekend and have three things in mind, dispensaries, breweries and pacific ocean. "...You try it, I give you the room, you try..."
How "secret"? I dig your style.